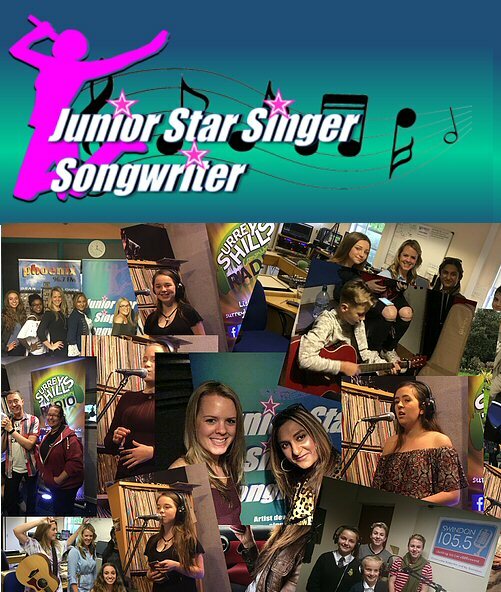 Following the success of the Junior Star Singer Songwriter 2017 competition, we've pulled out all the stops to create something even bigger and better for 2018! This year's competition will see us touring a staggering 20 radio stations around the UK as we search for our 2018 champion. You will be required to perform one track. This track can either be an existing song or one that you have written yourself. Groups and solo artists are welcome. Music and entertainments entrepreneur Amanda Neale originally formed girl band 4Nations in the late 1990s. The girl group toured around the UK at various venues and supported acts such as Bewitched and The Honeys. The band was mentored by Victor G, who worked with band Soul to Soul in the early years. Following her work with the group, Amanda then decided to form a new management agency called Noise Management, managing acts from a small local rehearsal and recording facility in Surrey, taking on five unsigned bands. Deep Void was one of Amanda's earliest groups, with lead guitarist Andy Brooks who she closely mentored and has since gone on to support bands like Status Quo around the UK. Amanda was responsible for organising their tours and sponsorship deals with brands such as Fender. In the late nineties, Amanda was then headhunted to work for the Roadhouse in Covent Garden where she became the booker taking on major signed acts for their exclusive performances. These included chart toppers who regularly warmed up at the Roadhouse before they went to record on BBC One's Top of the Pops show. "Never, never, never give up your dreams. Embrace life and aim high for what you want." She booked and worked with major stars such as: Gary Numan, Alexander O'Neal, Bucks Fizz, Limahl, Attomic Kitten, S Club 7, Jason Donavan, Sinnitta, Katrina and the Waves, Slade, Bad Manners, Bill Wyman, Boom, Sonia, Imagination, The Three Degrees, The Drifters and many more. In early 2000, after Amanda had started her family, she decided to establish music management and events agency Mega Music Management which was an opportunity to take on unsigned acts and also promote signed ones. She booked for events such as Guilfest, and Glastonbury, and newer venues such as Indigo at the O2. As part of MMM's agency Amanda decided to branch out and launch a vocal academy teaching all ages singing , song writing and showcasing techniques. It was then that she mentored group Diamond Chique, a band consisting of mothers who worked and wanted to also pursue a career in singing. She was later approached to record her achievements in a special documentary about the band and its original concept. She was also put forward for a nomination for Best British Asian Female in business, by Chris Southam, a local business mentor who was also Diamond Chique's stylist. Chris has done styling for various newsreaders and presenters such as Davina McCall. After booking various band nights and taking residencies in several clubs in London with all her own acts, Amanda then decided to set up a new talent show called Junior Star Factor, the forerunner of Junior Star Singer Songwriter. J ust like Junior Star Singer Songwriter, the show was created to allow young talent to showcase their material around the country. The show was geared towards 10 to 16 year olds and enabled young singers to showcase their work to the public in front of a panel of judges from the music industry. Junior Star Singer Songwriter is now a UK tour that runs on 20 radio stations in the UK. 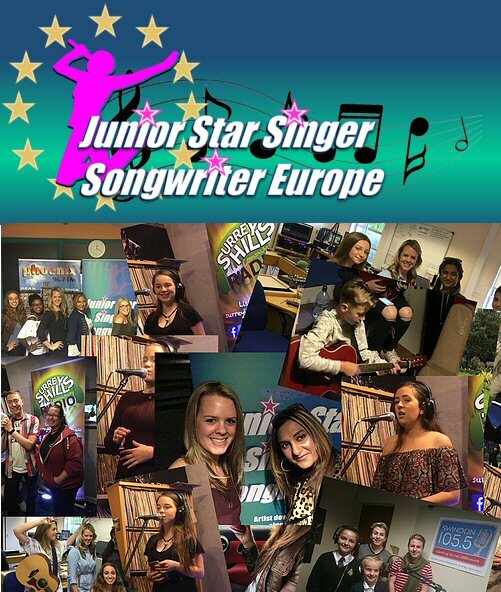 Junior Star Singer Europe and Junior Star Singer Theatre star are also competitions launched by Amanda Neale and her JSS team, Junior Star Singer being the brainchild of Amanda herself. In 2015, Amanda launched another show where the winner was able to sing a track for a TV show competition on Sky TV. The soundtrack was written by Amanda herself. Amanda has written a novel called 'Changing Sky' which now appears as a blog about the courageous life of Sky, her childhood ambitions and her battle with being a woman in the music industry. Amanda is now a guest panellist for BBC Radio and That's TV and has been asked to present and guest speak on various radio shows including Colourful Radio, East London Radio, Brooklands Radio and Radio Jackie. She has also interviewed celebrities such as Julia Baird (John Lennon's sister), Nick Heyward and Mo Pleasure from Earth, Wind and Fire on her radio magazine show Brooke on the Street. With her experience and expertise in the music industry, Amanda advises young people how to get the best out of their musical and vocal talents. She advises "never, never, never give up your dreams. Embrace life and aim high for what you want in life. Let the birds fly out of your cage!"